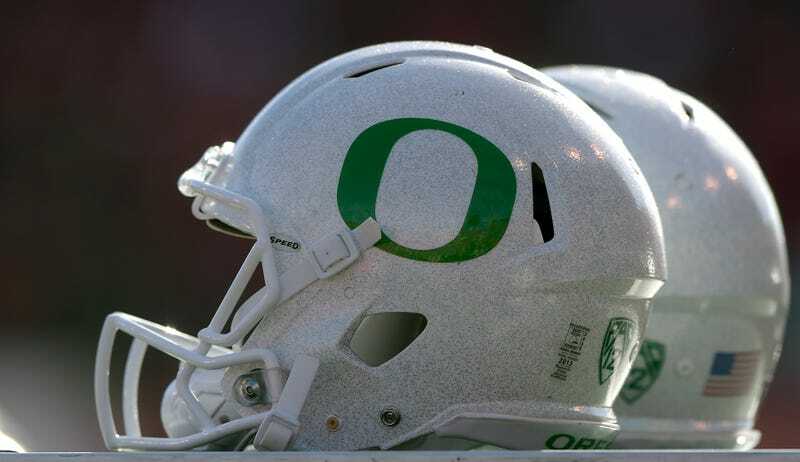 The Oregonian is reporting at least three Oregon Ducks football players are in the hospital following a series of “grueling strength and conditioning workouts” last week at the university. Multiple sources told the paper that players had to finish the same workout this week, with one witness saying it included up to an hour of continuous push-ups and up-downs. The report goes on to quote an unnamed Oregon official as saying the training staff didn’t see any players faint as well as provide a quote from the university about how the “safety and welfare of all of our student-athletes is paramount in all that we do.” New Oregon coach Willie Taggart visited some of the hospitalized players, per the report, before leaving to get back to out-of-state recruiting. Thirteen Iowa players were hospitalized in 2011 under similar circumstances.